Now just a 15-mile route within the Quad Cities, Illinois 5 originally ran over the entire length of the East West Tollway between East Moline and Chicago. When Interstate 88 was designated in 1987, the state route was truncated to the portion leading west from Interstate 80. AASHTO approved the I-88 designation subjected to FHWA concurrence on May 25, 1987. 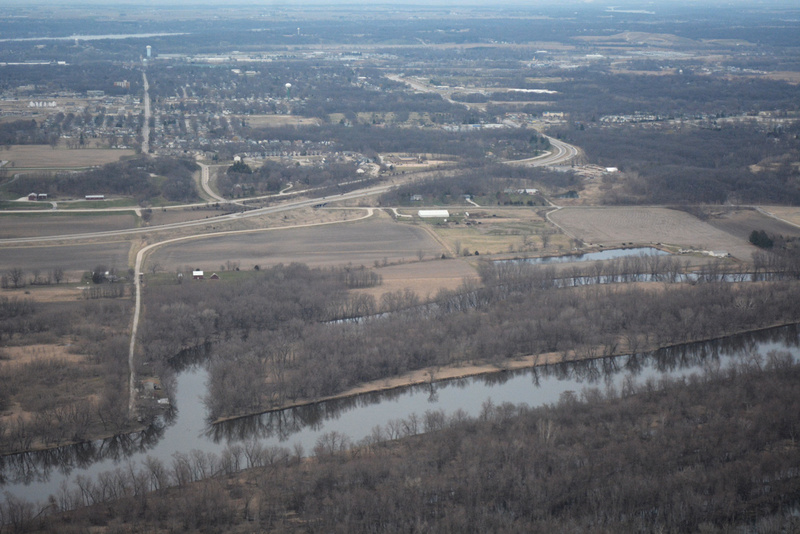 Illinois 5 follows John Deere Expressway south and west around the city of Moline. Prior to completion of the expressway west from 16th Street, IL 5 followed 16th Street north to 36th Avenue west to 46th Avenue and Black hawk Road. The state route later shifted onto the new four-lane roadway southward to a T-intersection with 46th Avenue / Black hawk Road and 52nd Avenue. Construction of the Rock Island-Milan Beltway included building of a parclo interchange with 46th Avenue west and 52nd Avenue east at Illinois 5. The interchange and the adjacent West Rock River bridge for the beltway opened to traffic on June 18, 2007. Illinois 5 (John Deere Expressway) curves northward into the city of Silvis on the bluffs north of the Rock River. Photo taken 03/11/17. "Bridge Construction Schedule, Costs." The Quad-City Times, November 15, 2006. "West Rock River Bridge inaugurated Span is opened to traffic as hundreds of guests watch." The Quad-City Times, June 19, 2007.